The Blazer Bay 2200 is the full liner version of the Blazer Bay 2170. It has a huge step-up front casting deck with lockable storage. Some of the quality components that are used in every Blazer Bay boat include all stainless steel hardware and our unique console mounted navigation lights. The rear deck has 2 storage compartments and a tournament size livewell. Every Blazer boat is hand crafted by a family owned business that still knows the meaning of customer service. 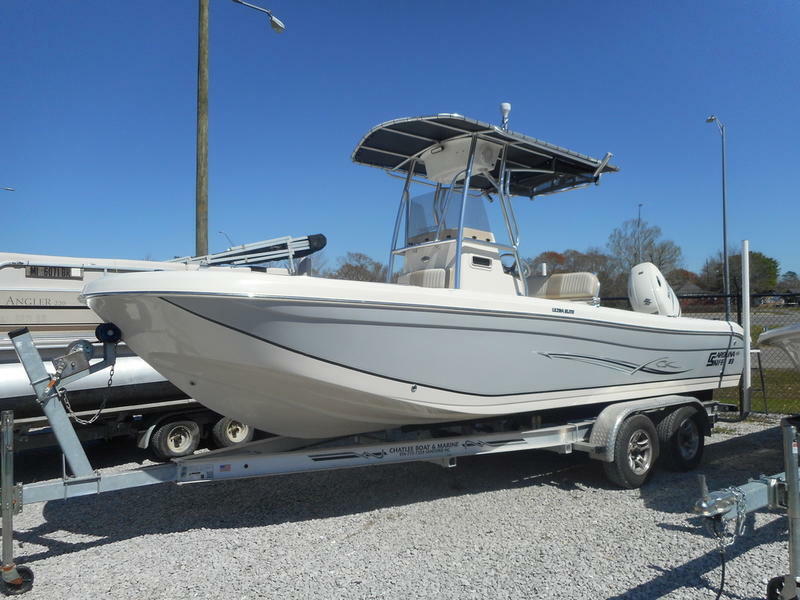 The 2200 is the ideal blend of length and features that make it a no compromise fishing machine, and its comfortable enough to take the family with plenty of storage and a smooth dry ride if the weather changes.